It's important to identify depressed patients who will respond better to omega-3 fatty acids, the so-called personalized medicine. There are several theories about how omega-3 fatty acids may work in depression, and the most relevant one is the anti-inflammatory effects. 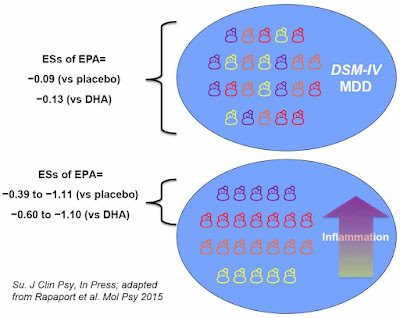 Recently, my friends David Mischoulon and Mark Rapaport from USA stratified MDD patients with inflammatory markers, and they successfully increased the treatment effect sizes by using omega-3 fatty acids in MDD patients only with high inflammation status (Rapaport et al, Mol Psychiatry, In Press). Their hypothesis here is based on omega-3's reversing effects on inflammation. Interestingly, their findings perfectly support our previous study of personalizing omega-3 fatty acids in prevention of inflammation-related depression. One advantage of nutritional medicine is its application in early intervention that can avoid unnecessary exposure to medication. 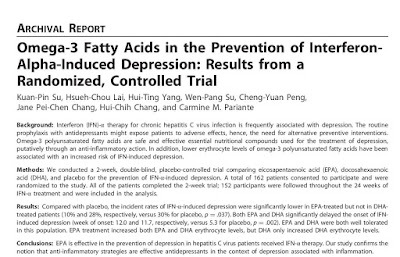 In 2014, we published a paper to show that supplementation with omega-3 fatty acids is beneficial in at-risk subjects for interferon-induced depression (Su et al, Biol Psychiatry 2014). The study team confirms the notion that anti-inflammatory strategies are effective antidepressants in the context of depression associated with inflammation. Su KP*. Personalize medicine with omega-3 fatty acids for depression in pregnant women and children, and depression associated with inflammation. 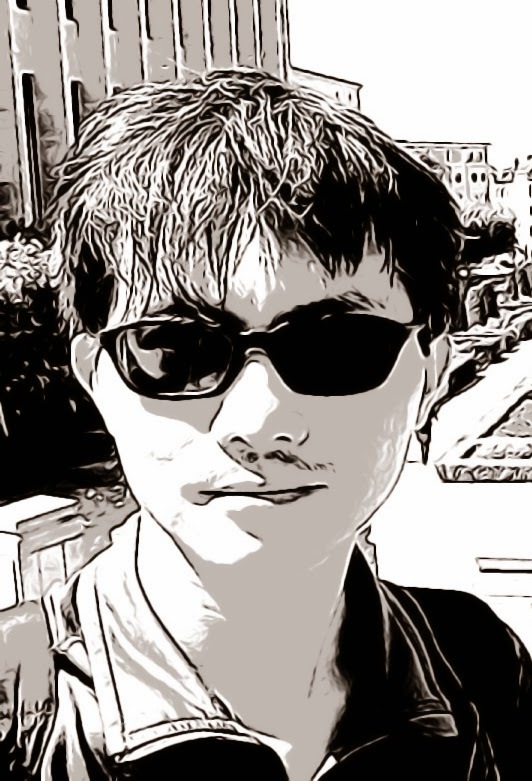 Journal of Clinical Psychiatry 2015; 76(11): e1476-77. Su KP, Lai HC, Yang HT, Su WP, Peng CY, Chang JPC, Huang CL, Chang HC, Pariante CM. Omega-3 fatty acids in the prevention of interferon-alpha-induced depression Results from a randomized, controlled trial. Biological Psychiatry 2014 Oct 1; 76(7): 559-66.